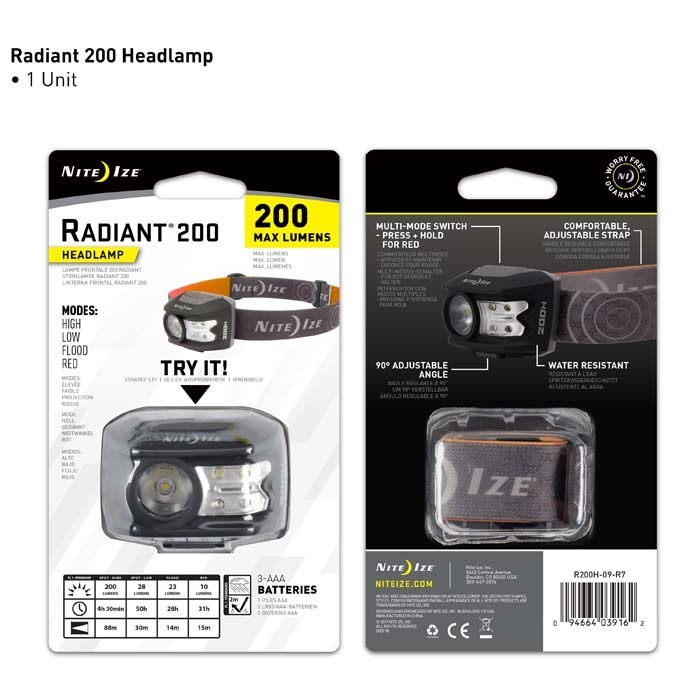 The Radiant 200 Headlamp is intensely bright and multi-functional. 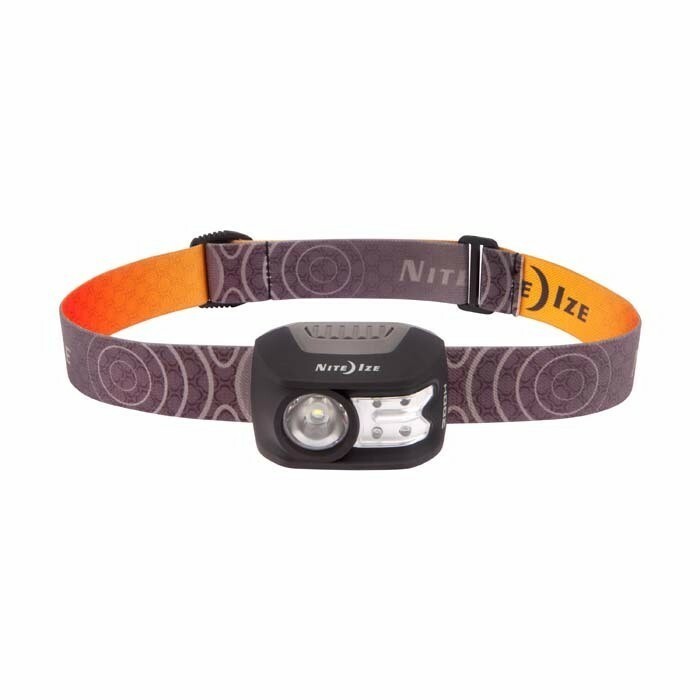 Featuring 200 Lumens, dual-color red and white LEDs, with multiple modes including both high and low white spot and white flood or red flood mode to preserve night vision; it is an extremely versatile hands-free lighting solution. The water-resistant (IPX4), impact-resistant (drop-proof to 2 meters) polycarbonate body integrates with a comfortable, high quality adjustable strap and can be angled 90 degrees for appropriate light direction. Powered by three included AAA batteries, this headlamp can illuminate your way for up to 50 hours before needing to swap out for new ones.